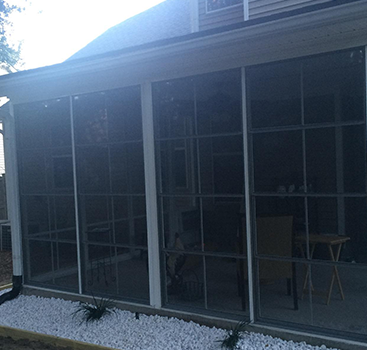 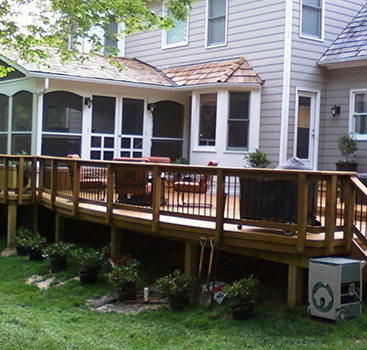 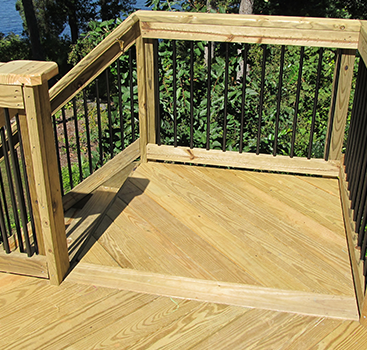 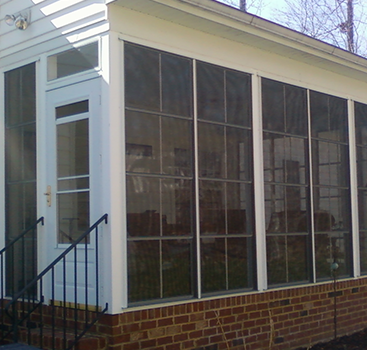 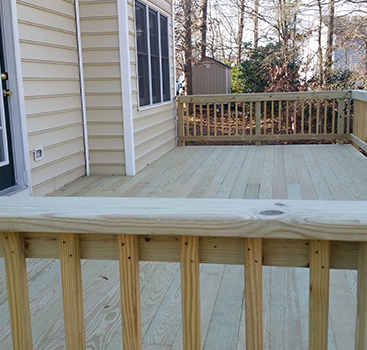 Pressure treated deck with decorative metal balusters adjacent to a new screened porch. 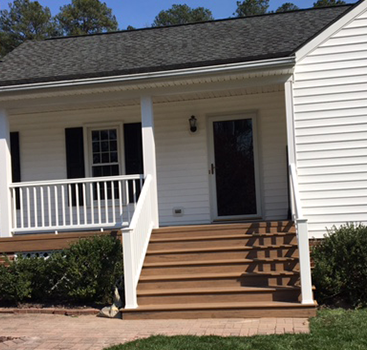 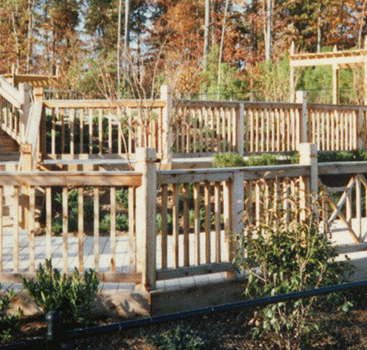 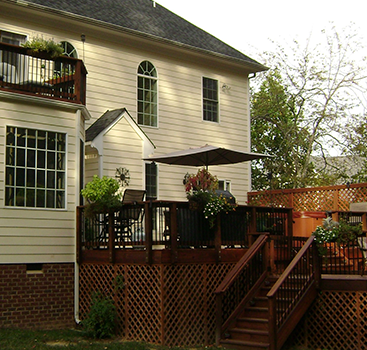 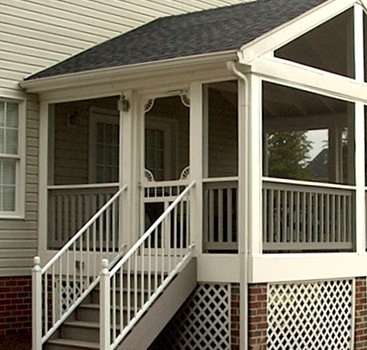 The design features a landing and wrapped step leading from the porch to the deck. 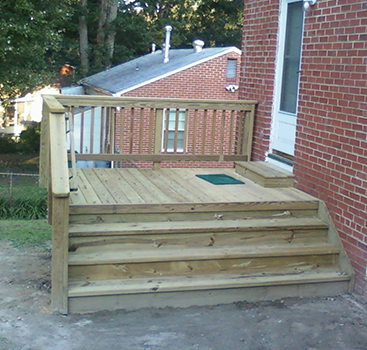 Located in Goochland County.